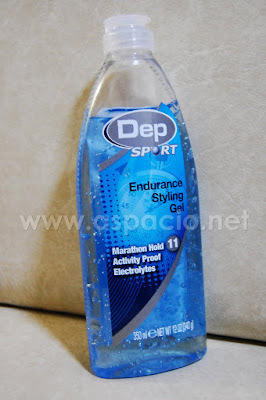 My favorite hair gel is Dep Sport. Before I used no. 10 but now they came out with no 11 which is for marathon hold and is activity proof - just the right gel for me. The other hair gels I used before offered only a short period of effectiveness. Plus, i did not like the scent of other hair gels because they seem to smell like products for hair loss treatments. Admittedly, the Dep Sport hair gel is quite expensive, but it definitely does the job right and it doesn't leave my hair dry after washing the hair gel off. I would recommend this for hair gel users out there. are you able to still buy this? where? thanks! I'm not sure if it's still available here in the Philippines. I used to buy them from Watsons but it has been a long time since I saw one in a Watsons store. You can try PX stores in Subic or Angeles, they may still have some, but I'm not sure.